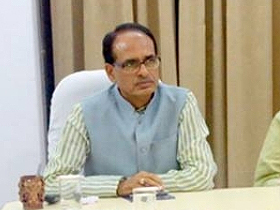 Chief Minister Shivraj Singh Chouhan said that the state government has waived off electricity bills worth Rs. 5 thousand 200 crores of poor and other needy people under the Mukhya Mantri Bijli Bill Maafi Yojana. Along with this, electricity at the rate of maximum Rs. 200 per month is being provided to all. 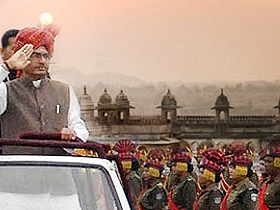 CM Chouhan was addressing a huge public gathering at Nandner village of Sehore district. He also laid the foundation stone and dedicated development works over Rs. 342 crores at village Nandner. CM Chouhan stated that the state government has succeeded in erasing the tag of ‘Bimaru Rajya’ and now Madhya Pradesh is establishing itself in the category of a developed and prosperous state. Apprising about the public welfare schemes, the Chief Minister urged people to avail the benefits of the schemes with authority. He further informed that irrigation facility through lift irrigation system will be made available to the farmers of Nandner village and its surrounding villages. The CM Chouhan expressed grief over the bus accident of the Police Department that occurred on Budhni-Shahganj road on October 2. While expressing grief over the death of the Head Constable, who was inbound for duty, CM Chouhan paid homage to the departed soul. He mentioned that the state government is with the family of the deceased Head Constable Shri Ashok Singh in this hour of grief. All the possible help will be provided to the family.